FREE house survey with Verisure and Générali ! The latest information we have on domestic risks is worrying. Do you know, for example, that the number of burglaries has risen in France since 2016(1)? So today, there are nearly 1000 burglaries that are committed on average per day, one every 90 seconds (2)! Because your safety and that of your loved ones are our priority, Verisure and Générali propose that you benefit from an innovative and exclusive service : the realisation of a FREE SURVEY REPORT of your home. Thanks to this assessment, you will know how to better protect your home and avoid the risk breaking/entering, fire & flood ! 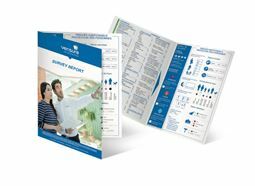 To benefit from the survey report, it’s very simple : contact us at arradon@agence.generali.fr or +33 (0) 2 97 40 80 20 ! We will arrange the appointment with a security expert from Verisure.